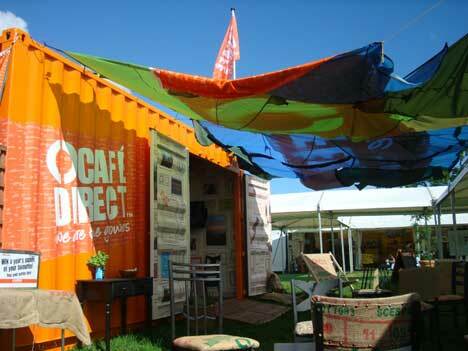 This summer, ethical coffee pioneer, Cafédirect has collaborated with UK designer Wayne Hemingway to create the Cafédirect Container House, an innovative pop-up eco-home offering complimentary coffee from Cafédirect’s gourmet Roast and Ground range across summer festivals and events. It will be at WOMAD this weekend and we have teamed up with them to offer a pair of WEEKEND tickets. See www.cafedirect.co.uk for the Container House and for details of other festivals they will be at this summer. So quickly get entering!! Please note: WOMAD is this coming weekend, so the giveaway will end on Thursday at midday and a winner will be drawn. You will need to be available by email tomorrow and the winner will need to respond quickly with their postal address to enable the tickets to be sent out by overnight post tomorrow. Please only enter if you can make it to WOMAD this weekend, and if you have a UK postal address. 2. Post the giveaway to Facebook. 3. Post the giveaway to Twitter. 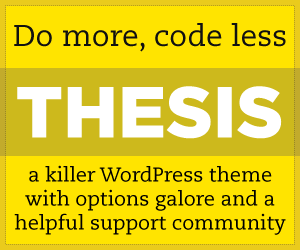 Each one will earn you a separate entry, so please leave individual comments for each. Jill Dean. Jill, it’s essential that you reply to my email requesting your address details SOONEST so that Cafedirect can post them to you today. Thanks and congratulations! Please send me Womad tickets! Womad! 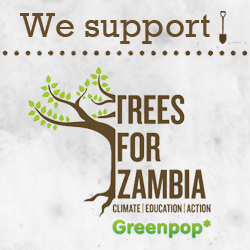 I would LOVE LOVE LOVE to go…..and a cup of cafe direct every morning in the eco home would be a treat! Mmm Coffee in cafe direct and great music, Would love to go. Would love to drop in to the pop-up eco home this weekend! Book giveaway: Do Humans Dream of Electric Cars?